I looove this outfit! I think it's perfect for Autumn/Winter and looks so stylish. The heeled Chelsea style boots from River Island are gorgeous and really make this outfit smarter, along with the fringe bag from H&M which I am just obsessed with and have been ever since I purchased it! 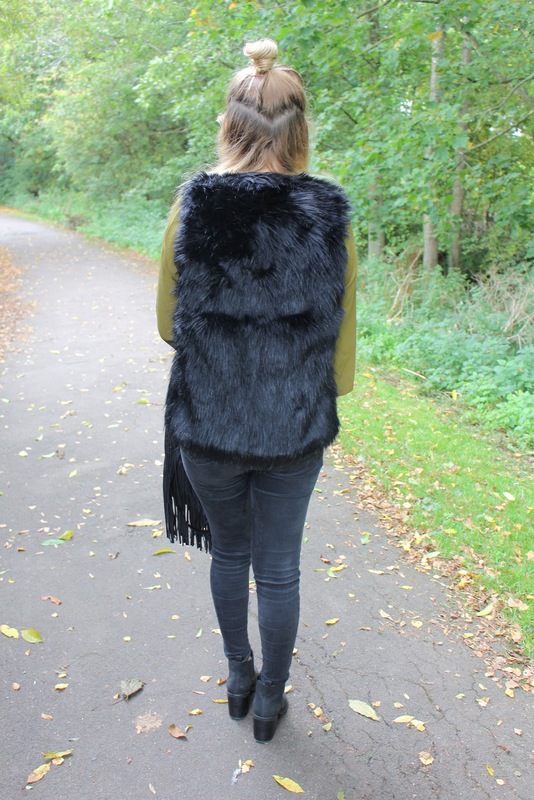 I am also in love with this fur gilet from H&M and I had been searching for a black fur gilet for such a long time - this one is super cheap too, bonus! 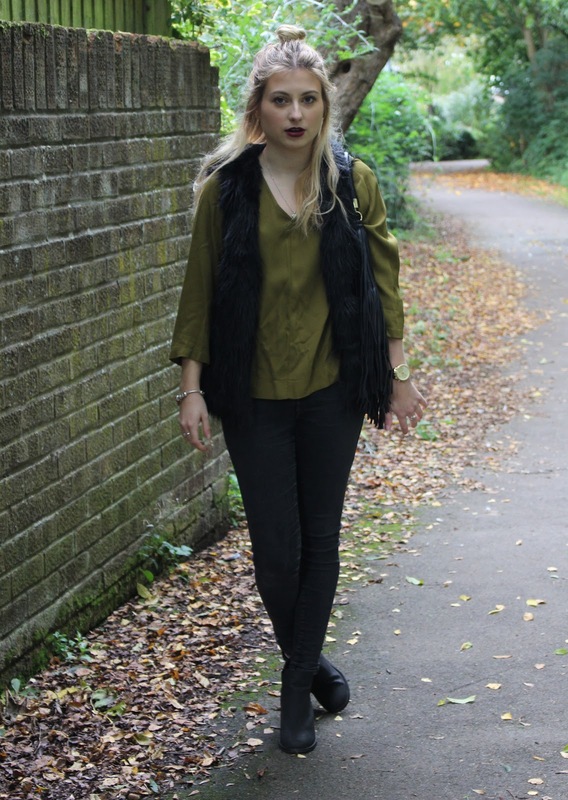 Can we just talk about this khaki green top from Topshop and how stunning it is!? 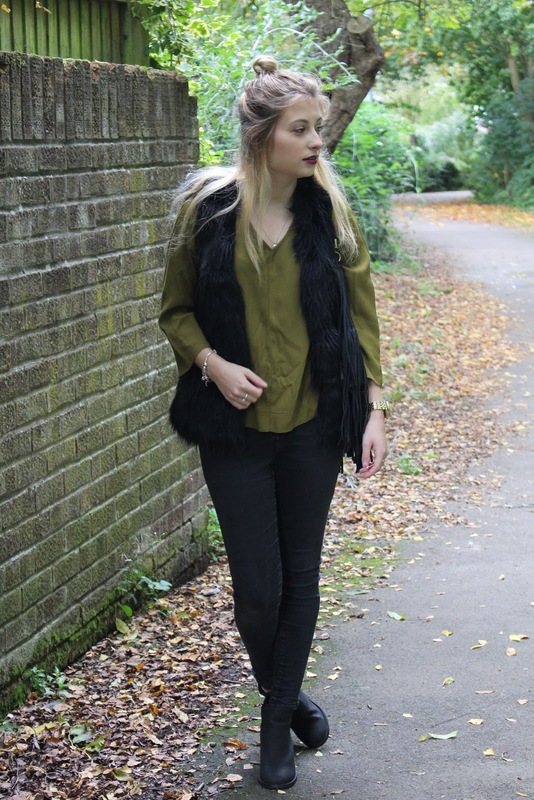 I am obsessed with khaki this A/W and you can bet that I'll be wearing this little number most of the time constantly!